The new equipment available at ICTP SciFabLab was a great opportunity to move my project from plain copper tape and acrylic to a nice refined wooden base with engravings. 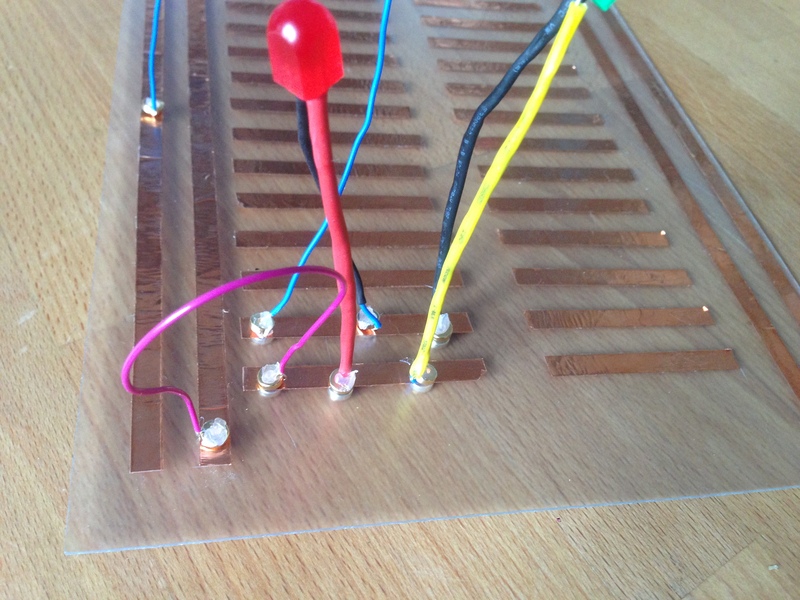 So, after installing and getting to know my way round with Inkscape, I managed to draw a very simple version of my Breadboard, with slots for the magnets and engravings with all the info on the various pins. 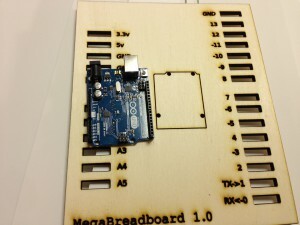 This entry was posted in Guest Projects, Mega Breadboard on 2014/09/25 by Gaia Fior. Sometimes ideas just linger in the back of your head for a long time before being really brought to life other times you are obliged to get from idea to prototipe in a short time. This is what happened with this idea, that just flashed into my mind a couple of days before the deadline for the entries to the Rome maker faire and after getting approved HAD to be done. 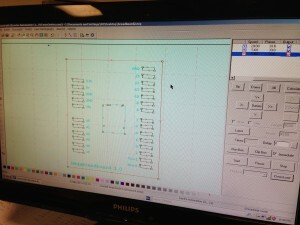 While teaching electronics to children I found out that the real problem was the hardware, more than the software. Breadboards are a great tool but you need a lot of attention to get all the connections right and small fingers are not that good at doing it. 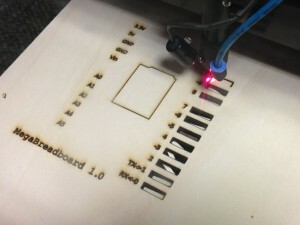 So how about a bigger breadboard? Maybe with an easier way of connecting stuff? 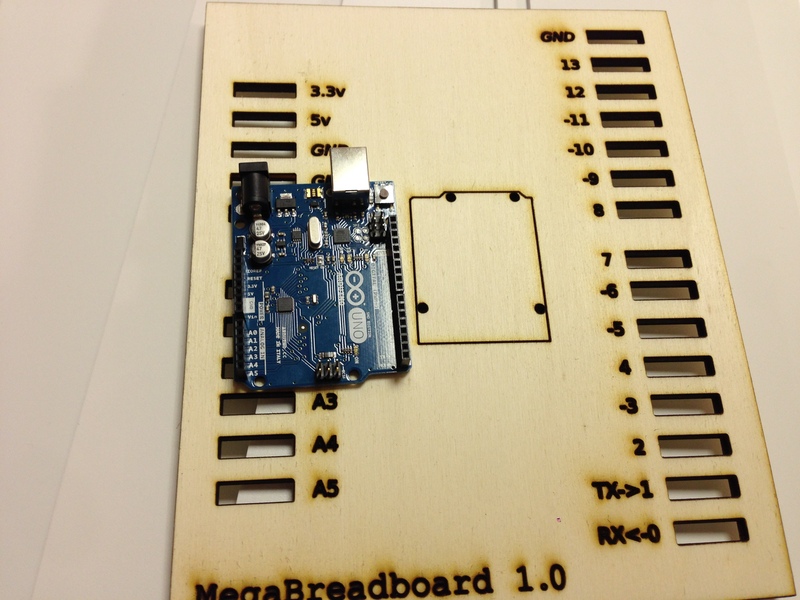 This entry was posted in Guest Projects, Mega Breadboard on 2014/09/12 by Gaia Fior.